In a recent post, we explained the Mercedes-Benz CPO program and the benefits you’ll enjoy if you buy a certified pre-owned Mercedes-Benz car. While we support anyone’s decision to purchase one of our CPO vehicles, we’re also in favor of motorists purchasing or leasing a new Mercedes-Benz automobile. Whether you’re interested in a new, previously owned, or certified pre-owned Mercedes-Benz vehicle, you might find yourself wondering, “Is there a Mercedes-Benz dealer near me who can provide some advice for when I take a test drive?” A test drive is arguably the most important part of the car buying process. That’s because it will reveal a lot of information about the vehicle you’re thinking about getting. Seat comfort: Try every seat in the automobile to ensure they’re comfy and provide adequate support. Capacity: Make sure the vehicle has enough seats for all your passengers and that the rear seat can accommodate a car seat if you’re going to use one. Take a look at the cargo area to ensure it’s spacious enough for your purposes. Capabilities: When you’re on the road, test the automobile’s ability to stop, accelerate, and handle corners. With the streets and parking lots around our Van Nuys, CA Mercedes-Benz dealership often being crowded, you should see how easy it is to park the vehicle while you’re at it. Features: Try the car’s features, making sure the relevant controls are within reach and easy to use. Would you like more advice about taking a test drive? 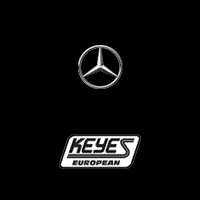 Contact Keyes European today.